We, at Innovative IT, provide the best Toshiba laptop upgrade in a reliable and cost effective manner. The next time you wish to make a memory upgrade, or a Windows upgrade, you can be sure to receive great service from us in your city. With our experienced team of professionals, our on-site and off-site services are offered to business groups as well as individual users. We look forward to extending our services to you and our skilled team of technicians and engineers are sure to leave you more than satisfied. Your Toshiba laptop upgrade could include any or all of the following, depending upon your requirements and the capacity of your Toshiba laptop. (Unlike in a desktop, a lot of components of a laptop cannot be upgraded. Also, depending upon the type of Toshiba laptop and the model, there would be different types of upgrades possible, and therefore you require skilled and reliable technical assistance for the same). • You can upgrade the memory of your Toshiba laptop. All portable computers (such as laptops, notebooks and netbooks) are capable of memory upgrade. We will guide you through the specifications of your laptop and install suitable components for your Toshiba laptop upgrade. • You can replace your battery. There would be many options to choose from. There are three types of batteries, one of which is a CMOS battery, which is a backup battery that helps remember a computer’s basic settings, so that the user does not have to manually enter the settings while rebooting the system each time. But for your Toshiba laptop upgrade, the type of battery that can replace your existing one would be a “main battery” which is used in portable computers. Another type of battery known as the “bridge battery” is generally used as a backup for portable computers in the absence of a main battery. This enables battery replacement without having to turn off your system. We provide solutions for all related issues and upgrades that your Toshiba portable computer requires. • Upgrading the processor is something that a computer user would not be able to do. This is one of those upgrades for which technical assistance is mandatory, unlike the first two, which can be carried out by reading instructions on a manual. 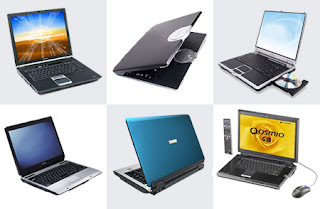 Some of the laptops and portable computers allow processor upgrading and the speeds can be altered for an increased efficiency of your laptop. However, quite often, this may not be a cost effective solution. But at Innovative IT, we will help you understand what kind of an upgrade would benefit you the most in the least prices, so that you don’t make the wrong investment. A Toshiba laptop upgrade for your processor may or may not be available. • A lot of the older models do not allow Toshiba laptop upgrade for your video card, but some of the more recent ones do allow an upgrade for it. If you are not happy with your existing video card for some reason, you can go for an upgrade, if your portable computer allows this. We can check if you will be able to upgrade your laptop for the same, and assist you with it further. Although only a few laptop models or portable computer models are offering such upgradable video cards or video accelerators today (and although yours may not be one of those), we can assist you with other ways to bring about similar improvements if possible. • The PC card slot enables you to use different types of internet facilities. Unfortunately, portable computers and laptops, in general, do not offer upgrades for internal modems and network cards. This means that you can’t get a Toshiba laptop upgrade for these components. However, what we can do for you is help you choose from a wide range of peripherals that can be used with your portable computer. This would act as a replacement for the internal component you may not want to use. • We can get you a Toshiba laptop upgrade for disk space. A lot of computer manufacturers allow hard disk upgrading and this can give you a lot more space than you have on your portable computer or laptop already. However, our experts will help you determine what kind of a replacement would be compatible with your systems. Depending on a lot of other components such as the processor your laptop has, the battery it runs on, and the memory (RAM) your system has and so on and so forth, you may or may not be able to go for very large sizes of hard disks. Our services would include everything from helping you understand the capacity of your system and what Toshiba laptop upgrade you can go for, as well as fulfilling your requirement or executing a repair operation. We at Innovative IT provide solutions for different requirements you may have with your computer, other than Toshiba laptop upgrade. Our services extend to the users of computers of all the leading computer manufacturing brands; be it Apple, Acer, Toshiba, or HP and so on. What sets us apart from the others in the same business is our level of professionalism when it comes to efficiency. It is our constant endeavour to bring to you the cheapest solutions. However, at times, it may be mandatory to replace certain peripherals and our easy replacement services would guide through that as well. From simple problems to the most complicated computer problems, we are just a phone call or an email away from you. You can get in touch with us any time you wish by following our contact details to make the Toshiba laptop upgrade you might have been a tad apprehensive about to make all by yourself. We have built credibility over the period of our existence in the UK. Having built a loyal base of customers already, we look forward to expanding it and being able to render cost effective, reliable, and technically accurate services to more and more computer users and businesses that require computer solutions. How to get more details and updates for Toshiba Laptop Repair in UK?